LEGAZPI CITY (Jan 4) – Waist-to-neck high floods hit low-lying areas in the province of Albay Wednesday, Jan. 3. Torrential rains brought by Tropical Storm Agaton while moving away from the Philipine Area of Responsibility and aggravated by the convergence of the Northeast Monsoon and Easterlies and the effect of tail end of a cold front caused the flooding in some barangay here. 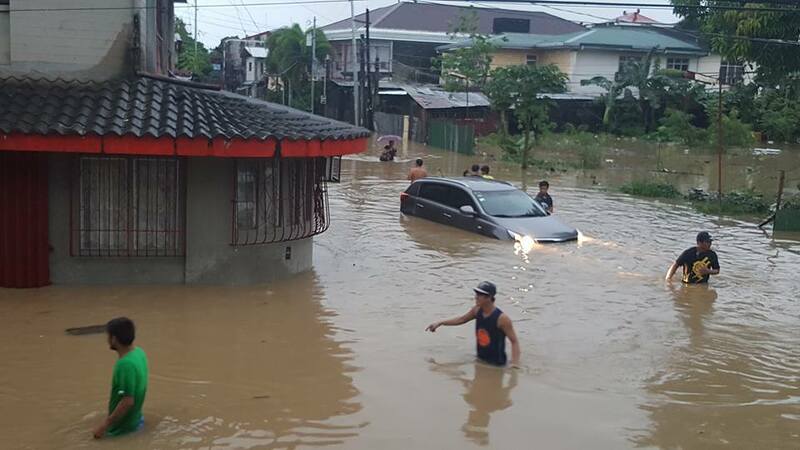 Mayor Noel Rosal said “it is very unusual” for the waters to quickly rise as he attributed it to possible defect in the design and construction of the city’s drainage system and the pumping stations in three (3) strategic places. Localized suspension of classes were enforced by the local government units (LGUs) in the province upon advise from Dr. Cedric Daep of the Albay Public Safety and Emergency Management Office (APSEMO). Municipalities of Sto. Domingo, Manito, Guinobatan, Camalig, Daraga, Jovellar, and Tabaco City were among the first to suspend classes. At 3:00PM Gov. Al Francis Bichara ordered the vulnerable population to landslides, floods and flashfloods to evacuate as a pre-emptive measure for the heavy downpour and high tide may trigger further flooding. A directive was also enforced to local disaster risk reduction management offices to strictlyu monitor other risk areas for appropriate and timely action for disaster avoidance. PDRRMC called a meeting and assessed the situation and agreed to revised the protocol of giving the local chief executives to suspend classes. Effective immediately suspension of classes will now be enforced by the PDRRMC. Daep was also given blanket authority by Gov. Bichara to suspend classes and other pre-emptive actions for disaster avoidance in the absence of the governor. One step ahead formula will be implemented in decision making, according to Daep.